Stéphane Denèves recording of Poulenc’s “Les biches” and “Stabat Mater” marked the conductor’s debut with hänssler CLASSIC / SWRmusic. 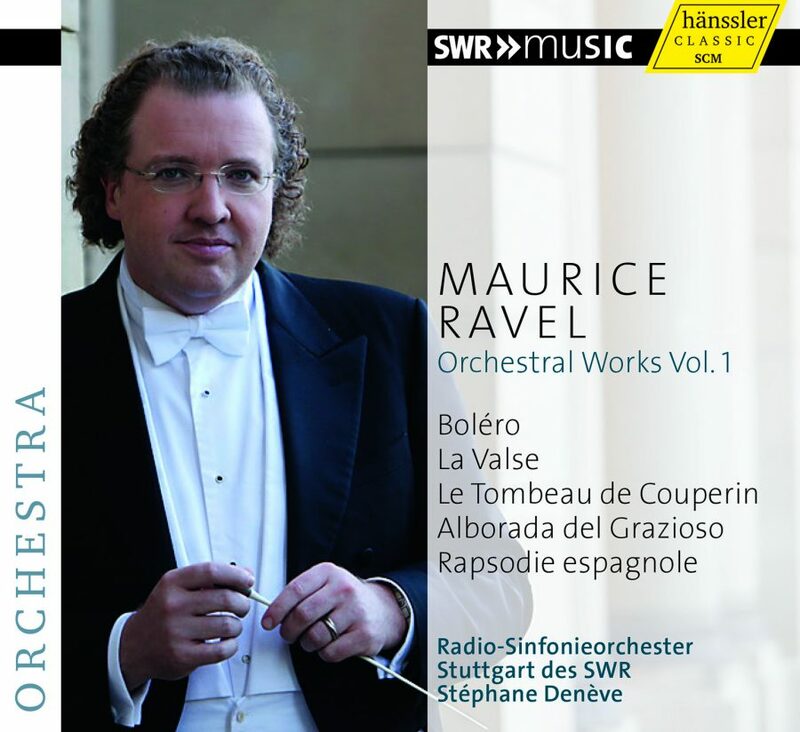 With this CD, he begins recording a series of Maurice Ravel’s complete orchestral music. This first CD includes Ravel’s finest orchestral pieces. Denève has a special affinity for the music of his compatriot. Denève understands the precision of Ravel’s musical language and leads his ensemble flawlessly, while embracing the sonic magic of these colorful masterworks.